The competition is open to both AT member clubs/groups and non members from the UK and abroad. AT member clubs will receive priority access and a discounted entry fee. The all in entry fee includes fishing permits, boat hire and competition entry fee for 2 days. 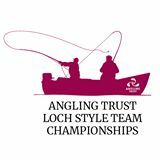 The 2 day event will take place on 15th & 16th June 2019 at Draycote Fishery with a maximum of 24 team places available offered on a first come first served basis. Six anglers will form a team, each team will be split into two sub teams of three on both days. A briefing will be held at Draycote on Day 1 and the presentation held at the fishery at the end of day 2. The match will be fished to international rules and full catch, measure and release. Boats must return to the jetty in time for the end of each session where score cards will be submitted to organisers. The combined team length in cm over two days will determine the overall result and winning team. The match will consist of three 3 hour sessions each day. During each session, one angler from each sub team of three will act as a boat steward for another team while the fishing pair will fish together in the same boat with a boat steward from another team. Every angler must act as a boat steward for one session each day, each angler will fish for 6 hours each day and act as a boat steward for 3 hours. 48 Boats for practice on Thursday 13th & Friday 14th June have been reserved at Draycote. Should you wish to book a boat please contact the fishing lodge to book your boats before Friday 7th June. Boats for practice must be paid for direct with the fishery and are not included in the competition entry fees. We may have to limit the number of boats available for practice to 2 per team. This is still to be confirmed however if the number of entries increase as we hope, then there will only be 48 boats available and this restriction would ensure each team has equal opportunity to practice. *subject to minimum of 15 teams entering, prize fund will increase with an additional cash prize in event the competition is fully sold out. This will be confirmed after the entry closing date. 48 Boats for practice on Thursday 13th & Friday 14th June have been reserved at Draycote. Should you wish to book a boat please contact the fishing lodge to book your boats. Please note: boats for practice must be paid for direct with the fishery and are not included in the competition entry fee. See the Official Film of the 2018 event!